When you want to send an ignorant nastygram to your neighbor, be prepared for colorful and peaceful retaliation. This story is flooding social media right now. Julie Baker of Baltimore, MD received a letter from a "concerned neighbor" asking her to "tone it down", because "this is a Christian area and there are Children." 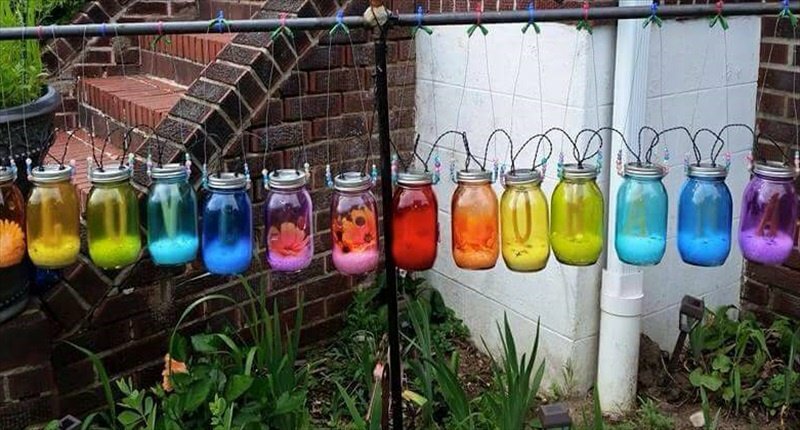 Julie is accused of being "relentlessly gay" because her rainbow colored solar jars that spell out the words "love" and "ohana" are on display in her yard. So what is she going to do? She created a GoFundMe campaign to raise money to make her yard more "relentlessly gay". She says, "Needless to say... I need more rainbows... Many, many more rainbows..." because "I am a widow and the mother of four children, my youngest in high school and I WILL NOT Relent to Hatred." Last we checked, Julie's campaign has raised over $27,000 out of the $5,000 in the first day! What a surprising turn of events! Julie says she'll eventually show everyone how she makes the jars too.